RISGO 2013 officials met with Mr. D.G.A. Perera who was in Dharmaraja from 1939 to 1965 as a student and then as a teacher whom the students that time loved most. RISGO Officials invited Mr. Perera to be present at the RISGO 2013 in next February when 1st Kandy Group celebrated its 100 years of scouting. 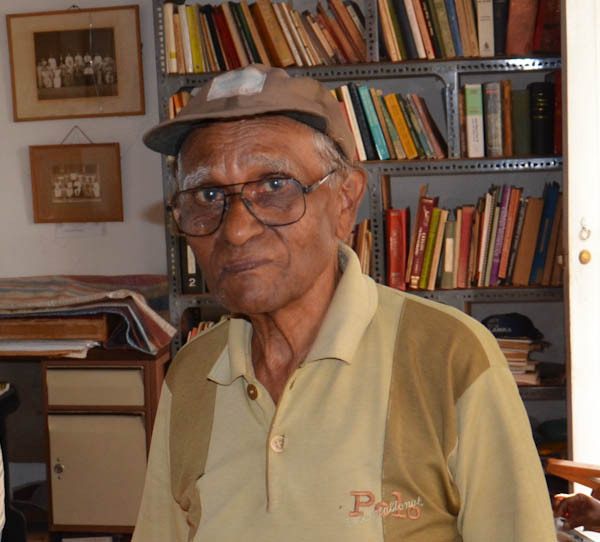 He is probably the oldest living scouter (Scout Leader) to serve the 1st Kandy Dharmaraja Scout group. He severed the group as a scout leader during Group Scout Leader Mr. B.A.S. Wimalachandra ( who was the GSL during 1936 to 1967). Mr. Perera provided with very important information about how the scouting have being during his days at the group and before. We wish him good health and long life.